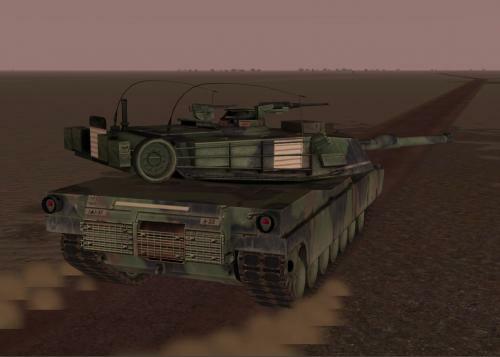 Skins for the M1A1 tank. These updated versions are in CARC schemes and include woodland, autumn, desert sand and winter textures. Most of the original texture has been detailed, modified or redrawn. Nearly all the original hardware, hinges, nuts, bolts, grates, handles and caps have been detailed and replaced. The wheels have been rebuilt to include all new nuts and hubs. A barrel reference system has been built, cable crew step added and a new gun mantlet built. The welds were redone for the entire skin and new cable covers built for the turret. Most notably the tarp has been removed from the bustle rack. 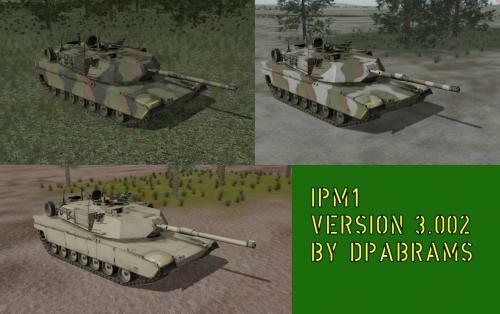 This version of the IPM1 hails from the 11th ACR circa 1986. Two, 3-color CARC schemes are included and a desert tan version.. Most of the texture of the original skin has been detailed, modified or redrawn. Nearly all the original hardware has been detailed and replaced such as hinges, nuts, bolts, grates, handles and caps. The wheels have been rebuilt to include all new nuts and hubs. A barrel reference system has been built, cable crew step added and a new gun mantlet built. The engine deck has been rebuilt, mostly from scratch to reflect that of an actual IPM1. Fenders have been corrected and small texture defects fixed. The welds were redone for the entire skin and new cable covers built for the turret. All stowage items have been redone and are included as well as T158 tracks. Stowage items are in woodland camo and desert camo for the appropriate theme. Two desert skins, one less detailed for those who prefer the stock decal set or those who want to apply their own. The markings on the other are painted directly to the skin and require the blank decals file to display properly. Includes track and roof textures. 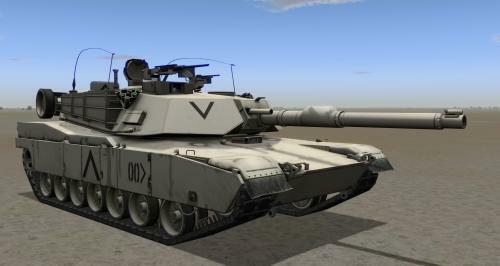 added and a new gun mantlet built. The welds were redone for the entire skin and new cable covers built for the turret. 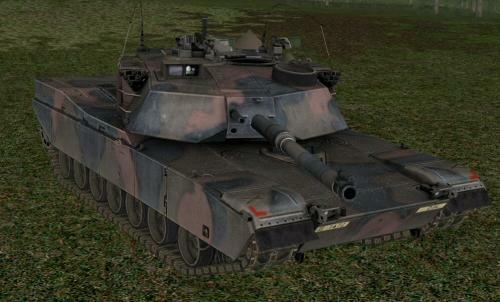 This version of the M1 is done in the MERDC patterns of the 1970's and 80's. Four MERDC schemes are included for the woodland, autumn, winter and desert folders. Most of the texture of the original skin has been detailed, modified or redrawn. Nearly all the original hardware has been detailed and replaced such as hinges, nuts, bolts, grates, handles and caps. The wheels have been rebuilt to include all new nuts and hubs. A barrel reference system has been built, cable crew step added and a new gun mantlet built. The engine deck has been rebuilt, mostly from scratch to reflect that of an actual M1A0. Fenders have been corrected and small texture defects fixed. The welds were redone for the entire skin and new cable covers built for the turret. All stowage items have been done and are included as well as T156 tracks. Stowage items are in woodland camo and desert camo for the appropriate theme. 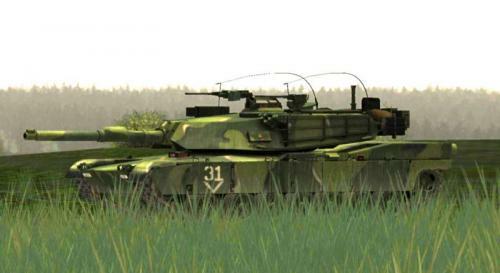 This version of the M1 hails from the 3rd Mech, 1/64 Armor circa 1985 in West Germany. 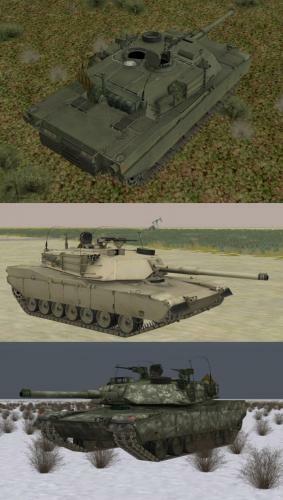 Three schemes are included, original forest green for the woodland theme, desert tan for desert theme and a field applied winter camo. Most of the texture of the original skin has been detailed, modified or redrawn. Nearly all the original hardware has been detailed and replaced such as hinges, nuts, bolts, grates, handles and caps. The wheels have been rebuilt to include all new nuts and hubs. A barrel reference system has been built, cable crew step added and a new gun mantlet built. The engine deck has been rebuilt, mostly from scratch to reflect that of an actual M1A0. Fenders have been corrected and small texture defects fixed. The welds were redone for the entire skin and new cable covers built for the turret. All stowage items have been redone and are included as well as T156 tracks. Stowage items are in woodland camo and desert camo for the appropriate theme. enhanced and some minor texture work done. 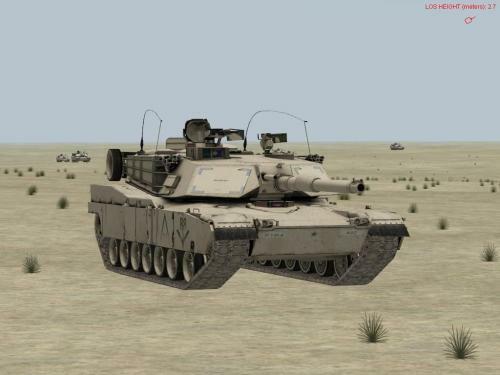 This version of the M1A1 (HA) hails from the 11ACR circa 1989, before recognition panels. 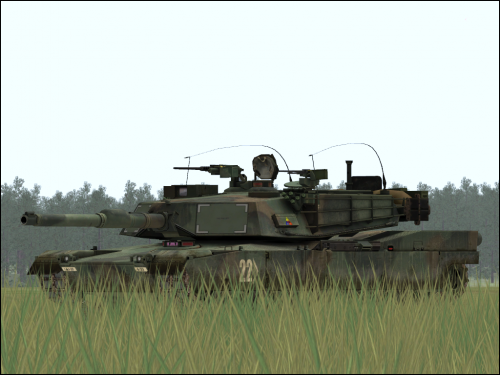 It has all with new decals, regimental plate and reflector strips. 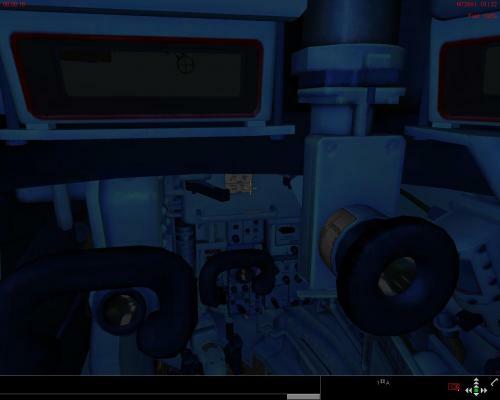 Numerous details have been added, such as new glass for sights and vision blocks, hubs and other finer details. The skin has been cleaned and re-colored. 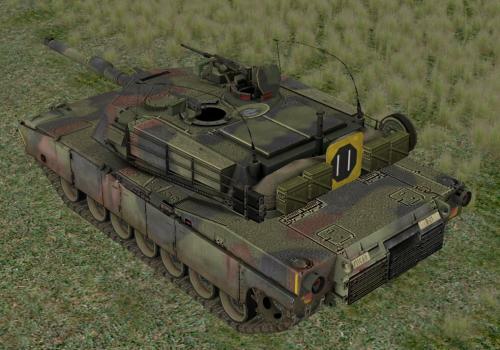 These are some quasi-MERDC skins for the M1A1 that I had been working on for awhile. They are not a completely %100 reproduction of the actual pattern, as I was more concerned with the pattern lining up along the edges and trying to keep it fairly easy to accomplish in a relative period of time. 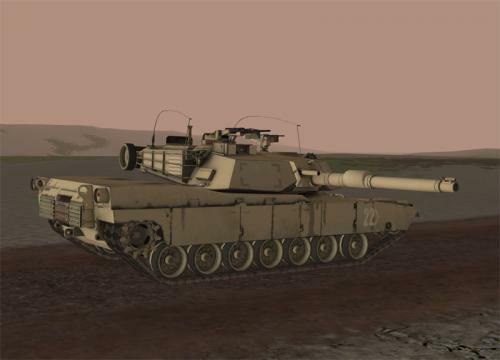 M1A1 desert skin v2.5 for SB 2.538 - Versions with markings and no markings. 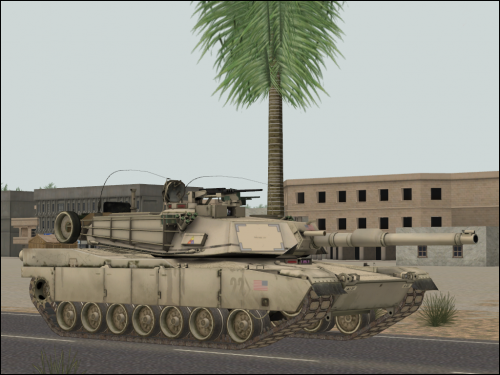 M1A1 woodland skin 2.5 for SB v. 2.538 - versions with markings and no markings. 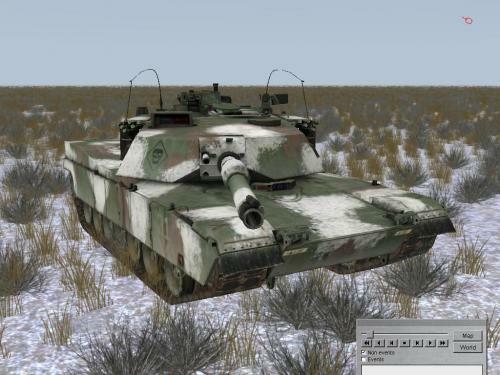 3 color desert Abrams skin. I only did the colorization, credit goes to Fabfire, Rogue Snake and Dejawolf for the rest. Only for 2.460 and above. 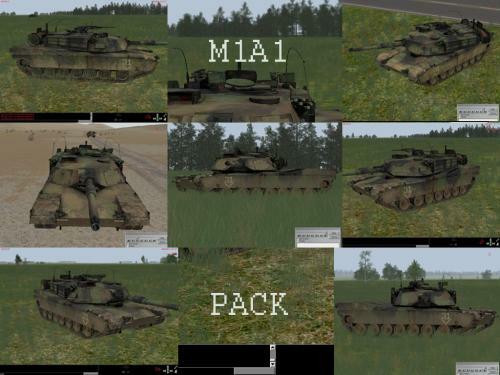 14 texture files of m1a1 in various muddy, dusty and dirty states. M1A1 winter 1.2 for SB 2.460 - New Thermal sights. Corrected driver's sighs. New Mine plow/roller. 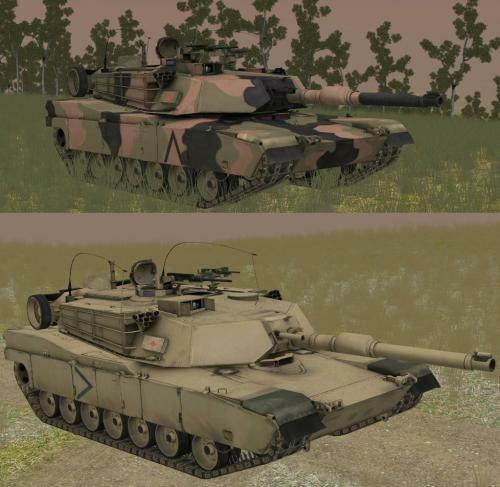 **UPDATED** Abrams Decal file enclosed as well, forgot to upload it in the first package** This a slightly changed variant of Dejawolf's desert M1 skin. Colour palette has slightly been changed, TIS, vision blocks + IR Panels added. Used some stuff from Rougesnake's and Fabfires skins as well. predominantly white and intended for woodland type themes. Desert is self-explanatory and predominantly charcoal. Regardless, you may use them however you most enjoy them. The screen shots show examples of both types. TO INSTALL: 1. 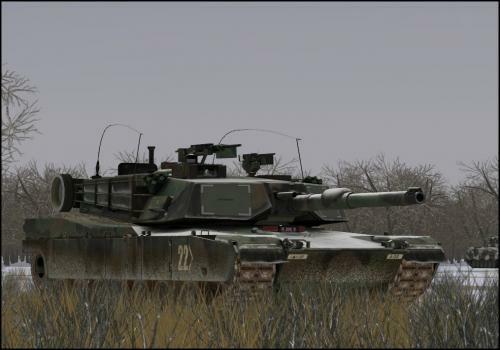 Rename the decal set you wish to use "abrams_decals.dds"
folder of that theme will apply to both red and blue skins. Thanks to Dejawolf for use of his template. And Special Thanks to Gary Owen for the inspiration. this work is entirely Dejawolf's! outstanding model and skin. i merely, used his template and layers, and add and delete a few polka dots to come up with these. hope you enjoy. Note: this skin only works with v4.60 of Pro PE. 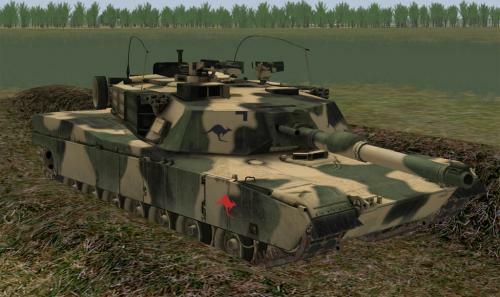 Fictional Australian Decal file by Nasder. 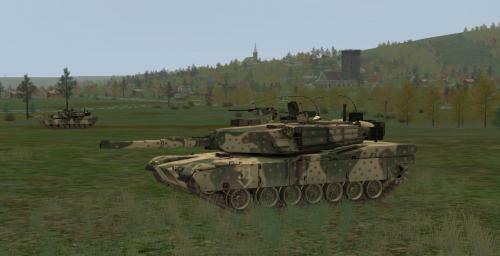 The M1A1 made to look a bit more like the ASLAV colorwise. 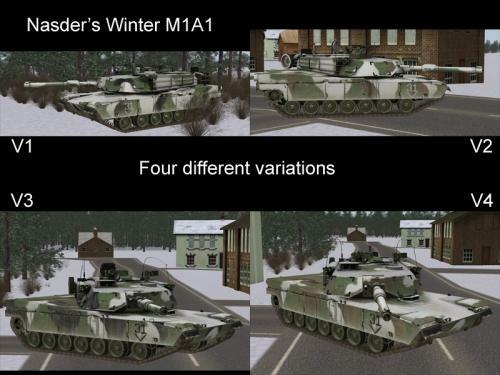 Four different textures for the M1A1, all in winter theme. 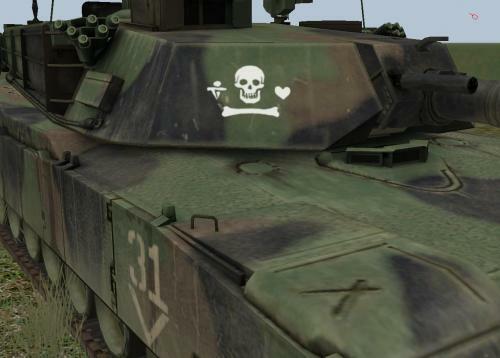 Also includes an updated decal file for the M1A1. Please read the Readme.txt in the zip file for more information. This is a skin I developed for the new model ver 2.46. Slightly dirty with some added details. Goes well with my other woodland paint schemes. I have included both 1024 and 2048. 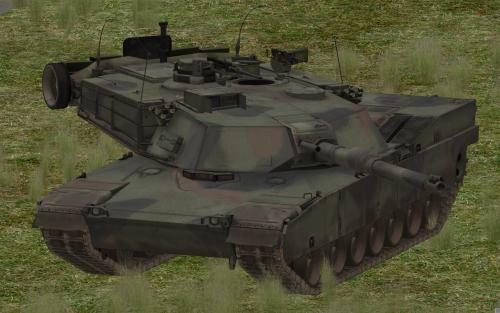 I have also included the track file and detailed turret top. Please leave feedback at the CZ thread in the forums.